BC Gin Round 3 – Wallflower (Champ) VS Victoria (Challenger) | Justintoxicated. 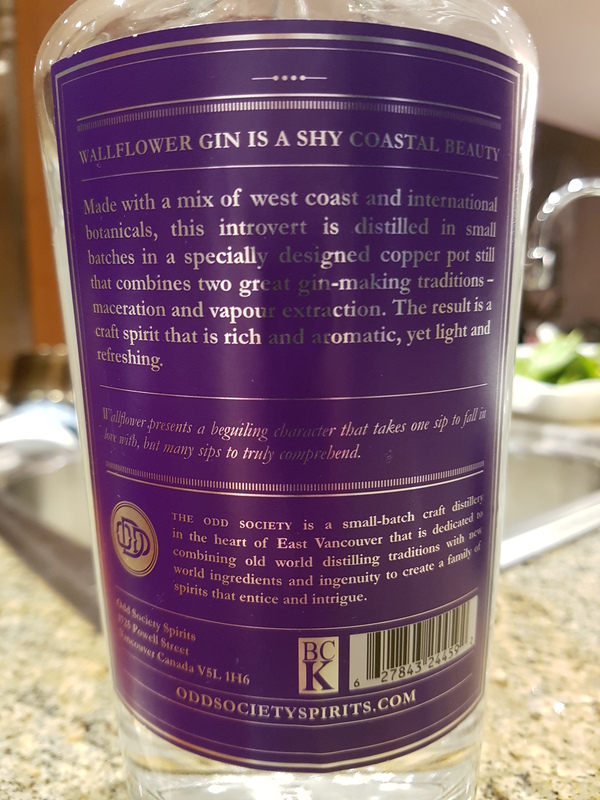 What’s up hearmenow, this is the 3rd round of the intoxicating BC Gin battle. 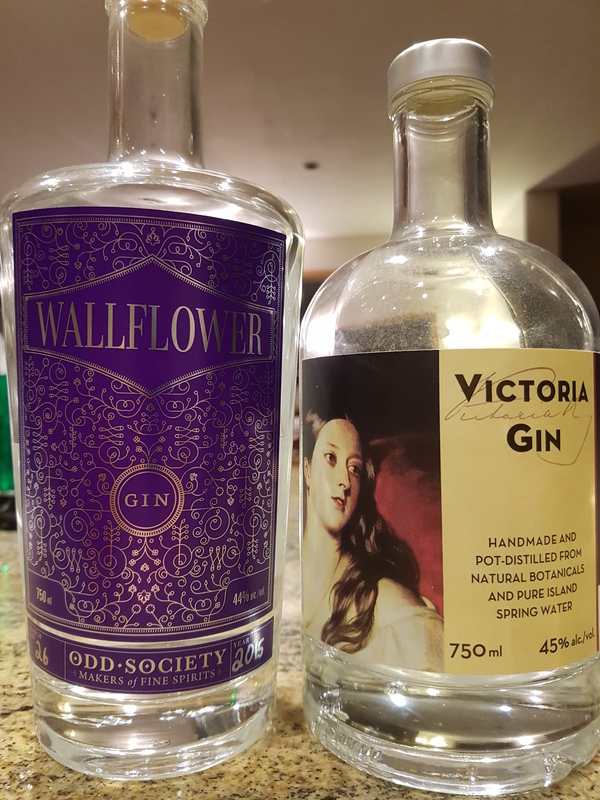 Winning rounds 1&2 we have again, Wallflower Gin now up against an Victoria Gin sporting a pre-2016 dated bottle and label. Nose: WF has a unique ‘milky banana-jackfruit‘ aroma shared by the juniper. There’s also a bit of cinnamon/nutmeg going on. VG is extremely citrusy peel bright, and floral with a kiss of rose petal at the tail. It’s much milder in aromatic intensity and reminds me a bit of liquid detergent, but not in a bad way. Winner = VG has a superb cleanliness & refined purity, whereas WF is aromatic but has more nasal burn. Taste & Texture: WF attacks with syrupy juniper, cinnamon, licorice, and a throat and tongue numbing warm coriander. On the opposite end of the spectrum VG is lighter on the palate starting off with lemon peel, soft juniper mids and a massively clean star anise exhale, and slight notes of rose petal. 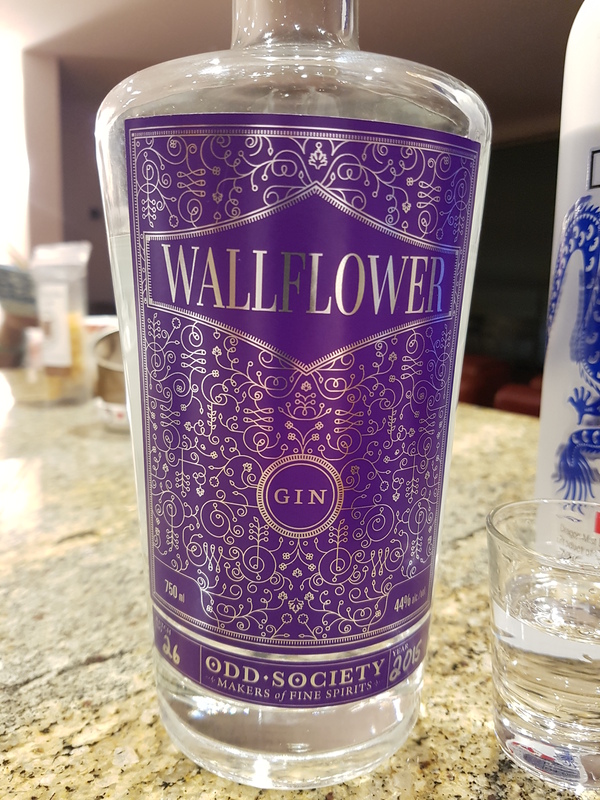 Wallflower Gin is thicker in viscosity, has a floral juniperness, and a bit of elderflower at the exhale. 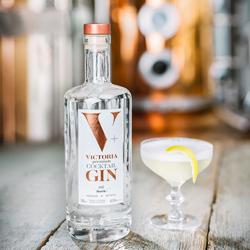 Victoria Gin has won 2 awards and here’s why: clean from start to finish, purity of flavour showcasing citrus peel, star anise, and floral overtones all around.